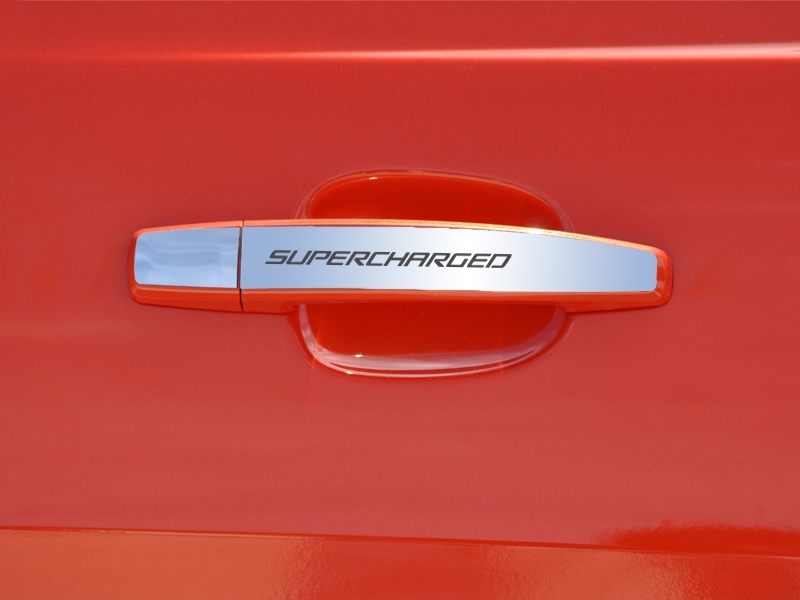 Dress up your Camaro with our Polished Stainless Steel, "SUPERCHARGED" Door Handle Plate . These trim pieces are designed to fit over the exterior door handle and add a clean stylish look to your Camaro exterior. Fits all 2010-2013 Coupe and Convertible Camaros.